100% of proceeds of Fallen Patriots long sleeve shirt sales will help provide college scholarships and educational counseling to military children who have lost a parent in the line of duty. 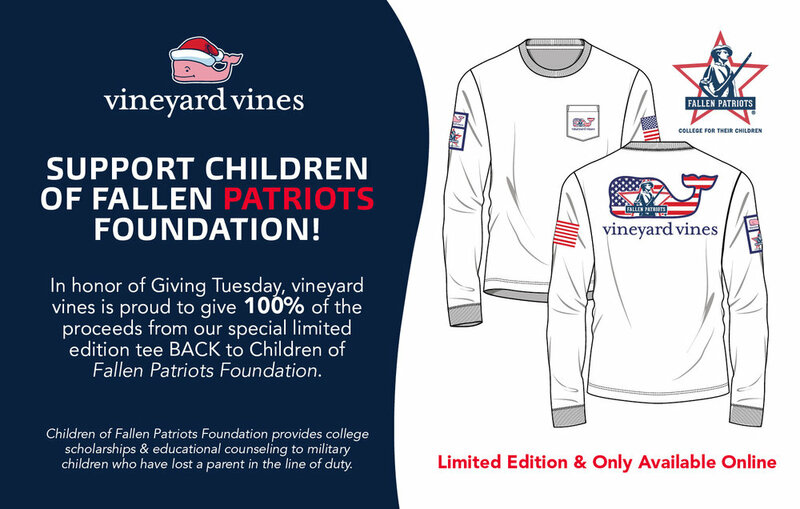 Special thanks for Fallen Patriots Board of Advisors and vineyard vines founders Ian and Shep Murray for your continued dedication to serve children of fallen military heroes. The vision of Fallen Patriots is to extend peace of mind to Gold Star families in all 50 states, in all branches of the military via college scholarships, educational counseling, and by facilitating professional development opportunities. 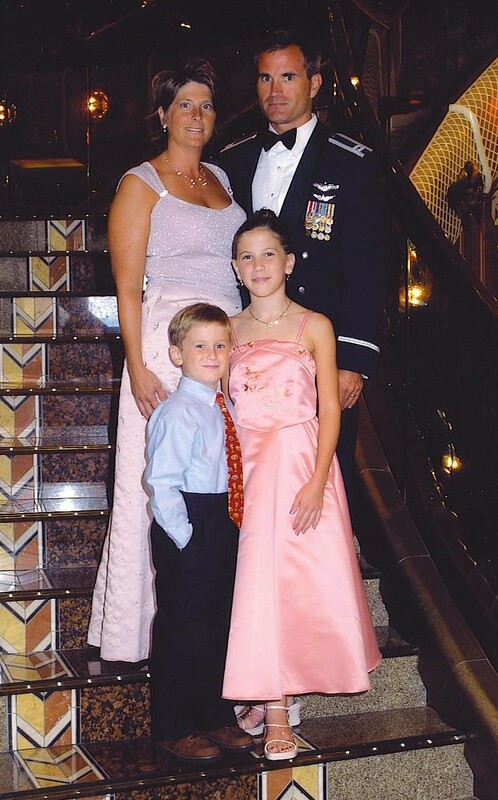 U.S. Air Force Major Randell Voas was killed in a plane crash while serving in Afghanistan in 2010. His son Mitchell is now a Fallen Patriots scholar studying marketing at Northwest Florida State College. “It feels good to have someone in my corner who will help me out when most needed,” Mitchell explained. 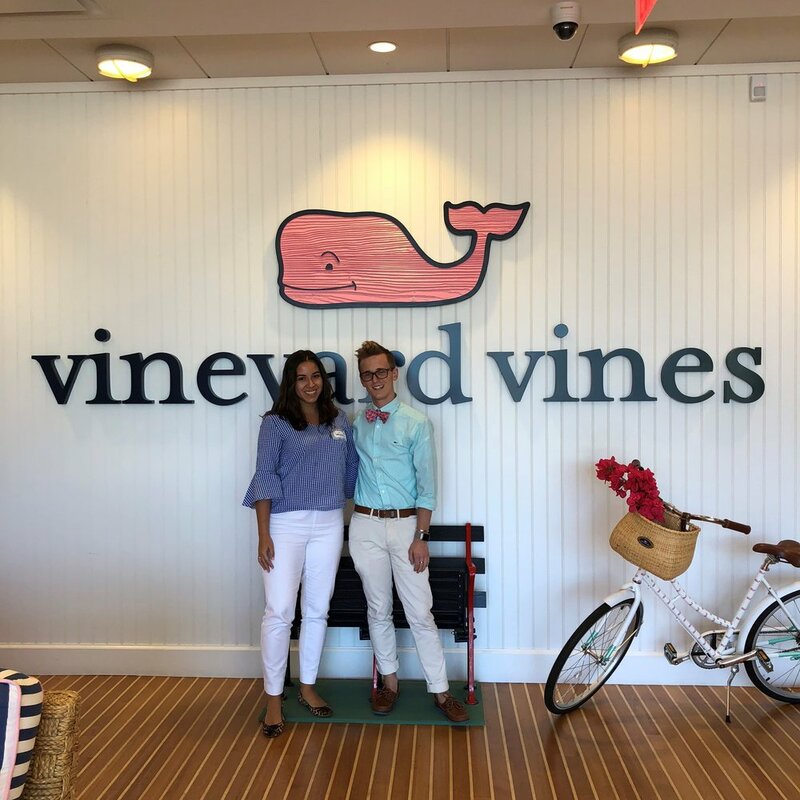 “Over Summer 2018, they facilitated my placement in an internship at Vineyard Vines headquarters. It was my dream to get an internship like this,” he added. Mitchell’s key responsibilities were responding to customer emails, processing returns, and working on projects. He is most proud of his contributions to an intern led photoshoot, when three of his pictures were featured in Vineyard Vines’ Fall backto-school catalog. Mitchell is expected to graduate in 2020. He plans to continue working at a Vineyard Vines retail store as he finishes his degree. Nearly 20,000 dependents have been left behind by troops killed in the line of duty over the past 35 years. Fallen Patriots is working to identify and support every child in need through raising funds and awareness of the mission.